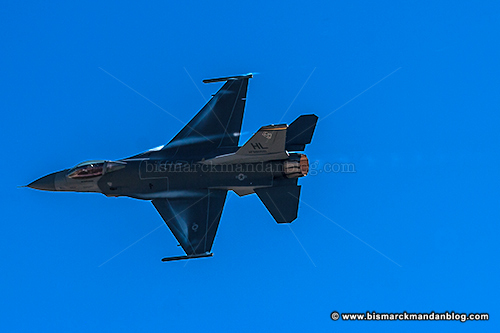 While looking for a photo of a B-2 Stealth Bomber in my collection last night, I came across this really cool F-16 Fighting Falcon photo that I’d totally forgotten. I couldn’t help but process it and share it right away. One of my little guys loves F-16s; he has a toy one and thinks they’re really fast and cool. He’s right. I have a surprise for him. 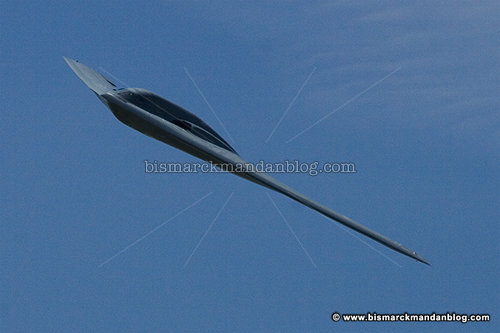 That B-2 photo I was looking for? Here it is. Still one of my favorite photos ever, because I’m so fortunate to have seen one up close. By the way, most of the time when it’s approaching or departing it’s almost invisible to the naked eye. When banking, it looks like a goofy, jagged sliver. Stealth, indeed. This entry was posted in Military, Vehicles by Clint. Bookmark the permalink.